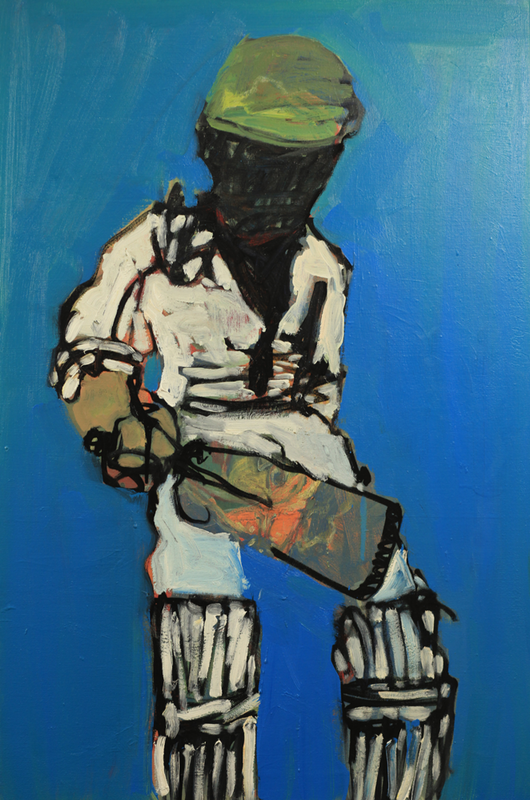 Been working on some study for larger paintings in the studio for a cricket series. It seems strangely suited that the year I decide to paint sport, the Australian cricket team implodes, and the Australian public promptly turns their collective backs and have decided they are not interested in cricket. So, rightly or wrongly, my cricketers all seems disappointed and rather despondent. Cricket in NQ when I was younger was always high key, bright colours, squinting into the sunlight, all the players starkly contrasted against the white of their uniforms. Minimal speed, slow paced and hot. So very hot.